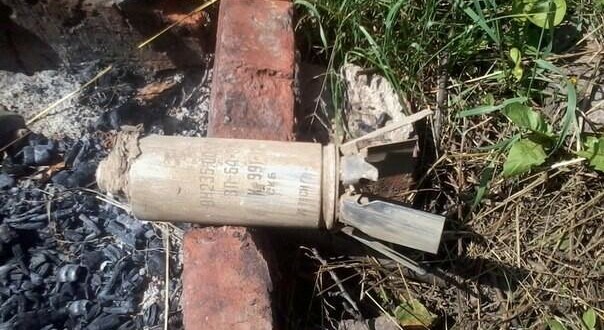 Video and images circulating on social media networks and in various online forums suggest that 9M55K cargo rockets containing 9N235 fragmentation submunitions may have been used in Kramatorsk, Ukraine. Armament Research Services (ARES) has previously documented these munitions in Syria. The 9M55K rocket is fired from the the 9K58 Smerch (Смерч; ‘Tornado’) 300 mm multiple-launch rocket system (MLRS). The 9K58 was originally designed in the USSR, and is capable of firing several different rockets, including cargo rockets deploying submunitions. The Smerch is known to be in the inventories of both Ukrainian and Russian forces. 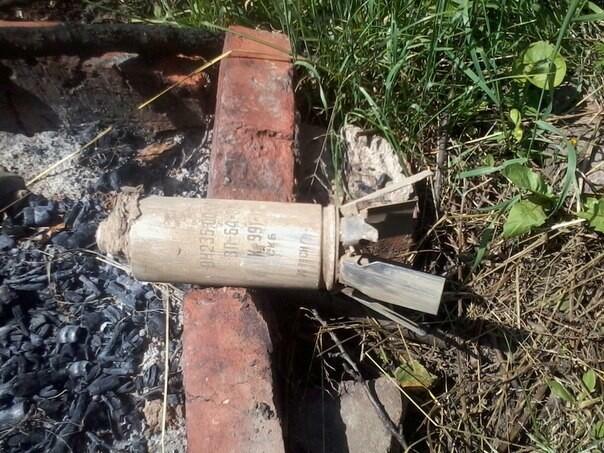 Neither Ukraine nor Russia are party to the 2008 Convention on Cluster Munitions. 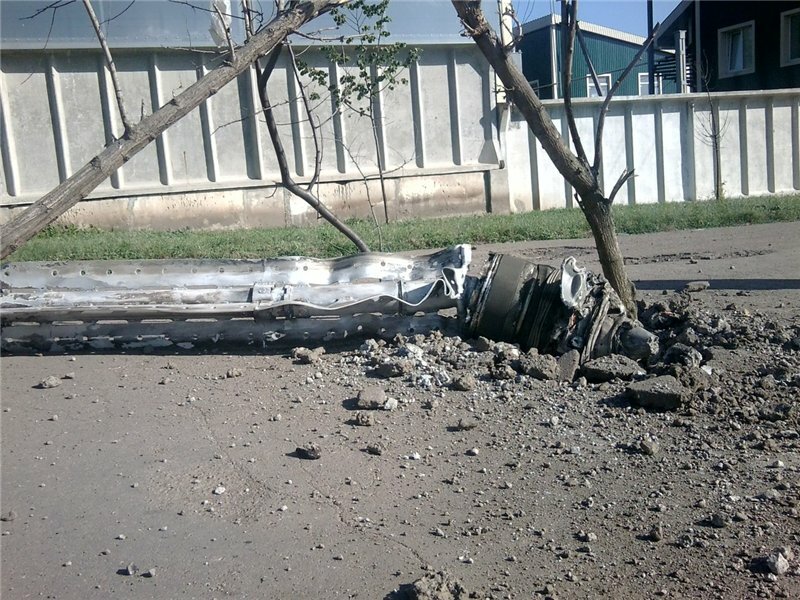 The images above, posted here and here earlier today, shows the remnants of a 300 mm 9M55K type cargo rocket fired from the 9K58 Smerch, near Kramatorsk. The distinctive nosecone and bursting charge components make the munitions readily identifiable. 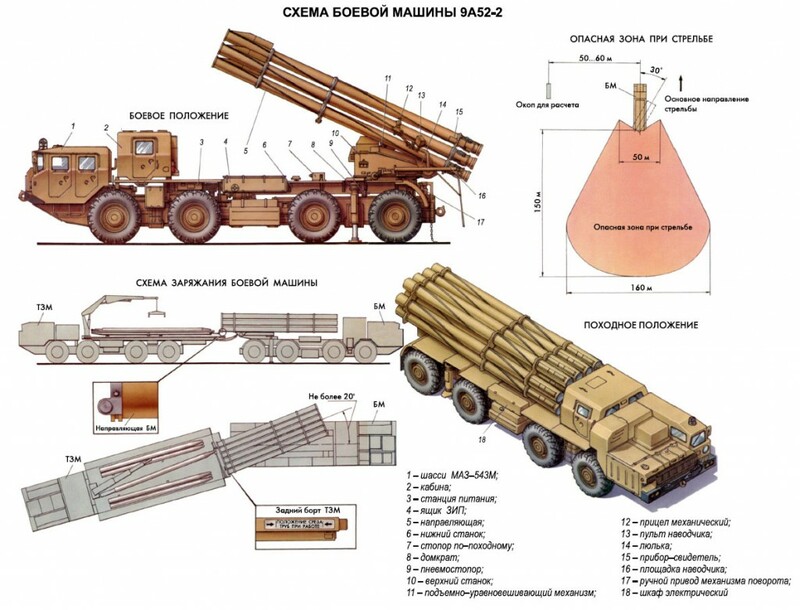 Some observers have erroneously identified the components as remnants of a 220 mm 9M27K1 rocket for the 9K57 Uragan MLRS, which Ukraine and Russia also operate, and which ARES has since documented, here. The second image, above, and the video below show unexploded 9N235 fragmentation submunitions. 9M55K cargo rockets carry 72 of these submunitions. The presence of these submunitions allows us to differentially identify the 9M55K cargo rocket from other cargo rockets produced for the 9K58 system (see Technical Details, below). The partially visible markings on the submunition pictured above indicate it was produced sometime in the 1980s. http://www.youtube.com/watch?v=9Zwo0JLSDWY It is likely that 9M55K cargo rockets carrying 9N235 fragmentation have been used in Ukraine. 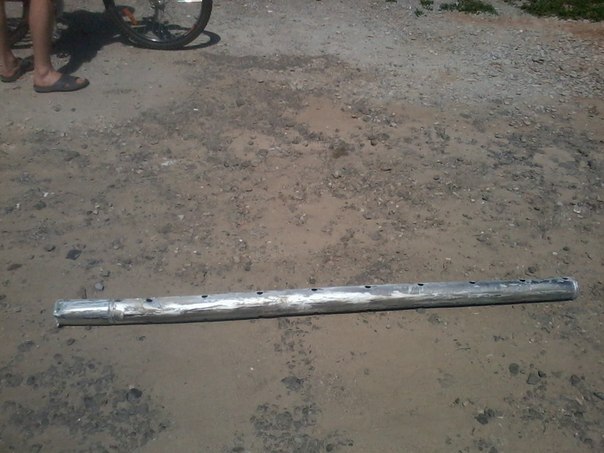 Whilst it is not immediately clear who fired these munitions, it seems most likely that they were employed by Ukrainian armed forces targeting pro-Russian separatists. The video below purports to show Ukrainian 9K58 units mobilising in late June, near Melitopol. The 9K58 Smerch Multiple Launch Rocket System includes the 9А52 or 9A52-2 combat vehicle with 300 mm rocket projectiles and fire control system, supported by the 9T234 or 9T234-2 reloading vehicle, 9F827 and 9F840 training facilities, set of 9F819 Arsenal Equipment, “Slepok-1″ complex of facilities for automated fire control, the 9C729M1 Automated Fire Control System, the 1T12-2M Topographical Survey Vehicle, and the 1B44 Radio Direction-Finding Weather system. Thanks to Yuri Lyamin, Vitaly Bogomolov, user ‘mepu’. Technical specifications taken from Splav State Research and Production Association FSUE’s website. Technical drawings from here.